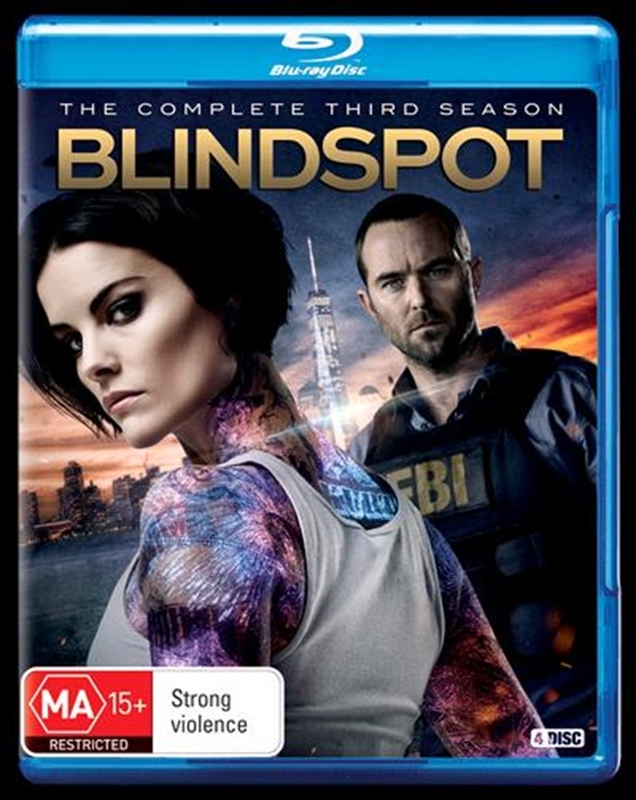 Following the shocking second season finale, Blindspot returns for its third season Jaimie Alexander stars as Jane Doe, a mysterious woman found in Times Square with her memory erased and her body covered with a series of coded tattoos. As Jane and the FBI team who discovered her work to decipher, investigate and solve the clues behind her tattoos, an ever-widening web of conspiracy and corruption is revealed, as is the truth behind Jane?s true identity and the organization that sent her to the FBI in the first place. Season 3 jumps two years forward. Agent Kurt Weller (Sullivan Stapleton) finally tracks down Jane, who's been on the run. After the two discover a new set of luminescent tattoos planted on Jane?s body, Jane is forced to return to the FBI. Weller, Jane, and the FBI team set out to solve these new puzzles and stop the dangerous conspiracies they reveal. But the tattoos also expose the team's darkest secrets.